We offer a wide range of options for customizing, modifying, and repairing your truck or trailer. 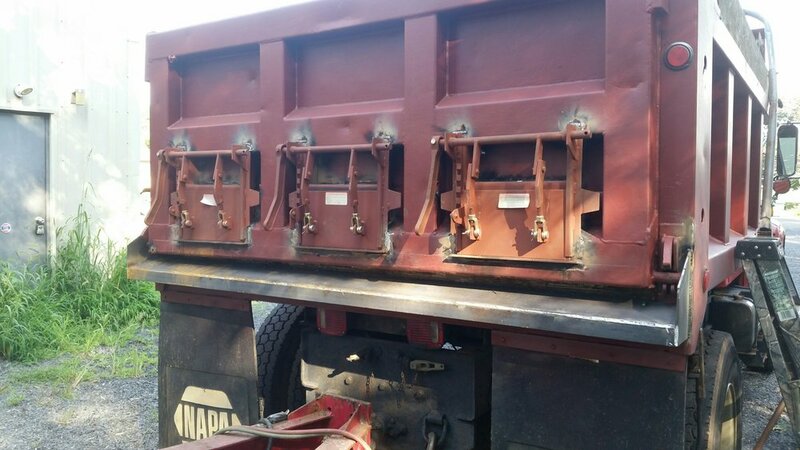 This is a triple gate setup for a mid size dump truck. We did this modification at their shop because they could not bring the truck to us. It featured pre-made gates that were installed in the tail gate and a spill lip that was fabricated from 1/4" steel. 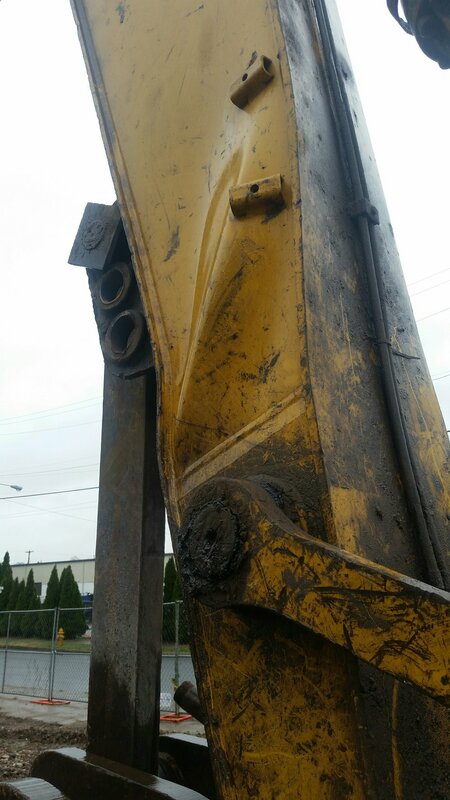 This Cat 330 excavator twisted the stick while on removing a beam from an old warehouse. We relieved the stress by cutting it at strategic spots and removing the wrinkled pieces before we replaced it with thicker plate and fully welded it into place. This is a beam rack for a local contractor that specializes in restoration of old barns. He needed to be able to carry long beams on his boom truck without using a trailer or another truck. We used 2" tubing and hitch recievers to make the rack removable from the truck. It features stops so the the pin can be installed my one person.